Le Club AccorHotels has launched new bonus mile promotion for Royal Air Maroc Safar Flyer member stays. Safar Flyers can earn unlimited triple miles for stays that are both booked and consumed between July 31 – September 30, 2018. Note that you must have your Le Club AccorHotels earning preference set to partner miles/points and have Royal Air Maroc set as the preferred one. You must also enable to autoconversion of miles after each of your stay to take advantage of this offer. Just be careful with the autoconversion. If you have any existing points in your account because they will be converted to miles too but without any bonus. 2. This offer entitles Le Club AccorHotels members, regardless of their status, to earn X3 Rewards points (automatically converted into Safar Flyer Miles) on stays at any participating hotel enrolled in the Le Club AccorHotels loyalty programme and to be entered into a prize draw that gives them the chance to win a two-night stay for two at one of the following hotels: Fairmont Royal Palm Marrakech, Sofitel Agadir Royal Bay Resort, Sofitel Agadir Thalassa Sea and Spa, Sofitel Rabat Jardin des Roses, Sofitel Abidjan Hotel Ivoire, Pullman Abidjan. The Pullman Abidjan hotel in Ivory Coast will reopen to public in October 2018. Reservation must be made directly with the hotel before the arrival and upon hotel availability. 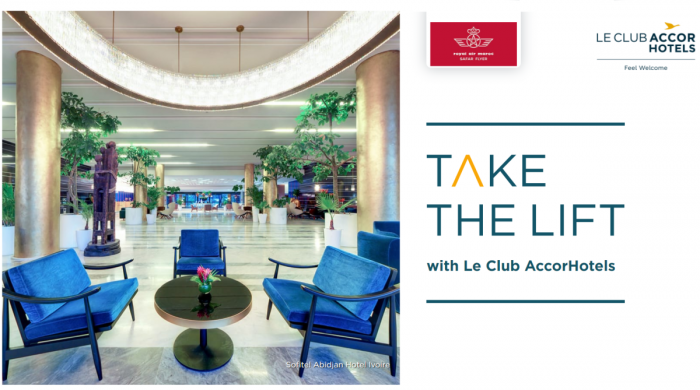 This Rewards points bonus is offered in addition to the Rewards points and Status points that are usually earned by the Le Club AccorHotels member on completing an eligible stay in accordance with the Le Club AccorHotels general conditions of use. In order to benefit from this bonus, the member must have activated Safar Flyer as their preferred automatic conversion option ahead of the stay. This option must remain activated until the Rewards points related to the stay have been credited to the member’s Le Club AccorHotels account and are calculated based on a Classic membership status level earn rate. 3. This offer is valid for all stays at a participating hotel completed by a member from 31/07/2018 to 30/09/2018, and booked between 31/07/2018 to 30/09/2018. 8. The Le Club AccorHotels Rewards points bonus will be credited to your account within 10 days of checking out and then converted to Safar Flyer Miles within six (6) weeks, in accordance with the current conversion terms.